The best vent installation is pointless without the appropriate protection at the top termination. 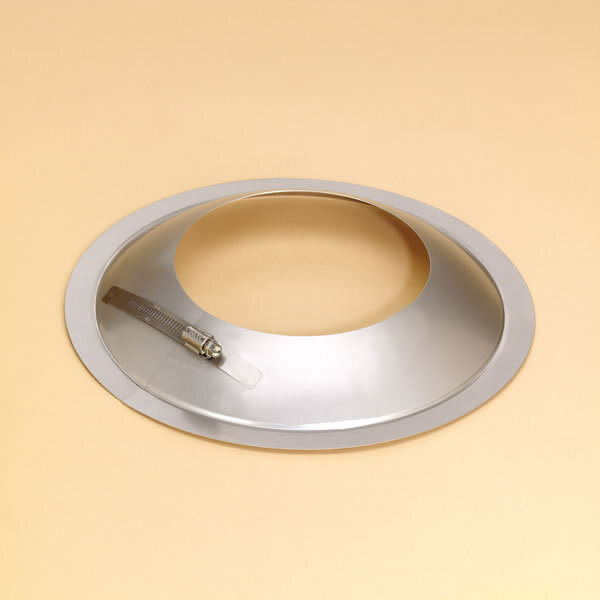 This HomeSaver Pro storm collar provides an effective ending to your vent or chimney liner when used with a top plate, clamp, and cap, and it helps protect the covering for your chimney system. This collar is designed for use with compatible 7 inch chimney liners, and it is available in sizes ranging from 3 inches to 12 inches to provide a size that meets your needs.